The controversial North Stream 2 gas pipeline project has the potential to resurrect cold war divisions in Europe, US Energy Envoy Amos Hochstein said, before calling for greater competition with Russia’s Gazprom through increased LNG imports. Amos Hochstein is US Special Envoy for International Energy Affairs. He spoke to EURACTIV Slovakia. He spoke to Pavol Szalai from EURACTIV Slovakia. I am the Secretary of State’s Special Envoy for International Energy Affairs. I look at wherever energy intersects with foreign policy, national security, economic security. It could mean anything from denying ISIL the ability to profit from oil in Syria to energy sanctions on Russia or Iran, to helping developing countries reach their targets in renewable energy. And it could also mean how we look at energy security in Europe. And how we look at what could bring about the kind of change in Europe that will allow countries not to be dependent on one supplier and diversify their portfolio. You spoke to EU energy ministers at their recent informal meeting. What did you say? My presentation was about the fact that the world of energy has changed fundamentally and really transformed over the last five, seven years. Are you talking about the shale gas revolution in the US and about the liquefied natural gas (LNG)? Shale gas is one. The shale oil revolution is another. Now, about the concept of LNG. If you build a pipeline for billions of dollars between a producer of gas and a consumer, you are not going to buy it from anybody else. Because you don’t have any other infrastructure. You also paid an enormous amount of money for this pipeline, so you have to use it. So, you have no flexibility. You are stuck. LNG came and changed the game. If you build an LNG terminal, you can buy it from anybody who sells LNG. You can negotiate the price. But then another revolution happened. Just in the last four, five years. Instead of building an LNG terminal on your shore that could cost a couple of billions of dollars you can have a floating, storage and regasification unit (FSRU). But the prices in Europe are lower than in Asia. So, most LNG goes to Asia. If there is any American LNG that comes to Europe, it is marginal. I disagree. Traders take the LNG and they sell it anywhere in the world. You have to look at not only where the prices are. Also the distances and transportation time cost a lot of money. So, how many days does it take to get to Asia or Europe? The first 12 or 13 cargoes the United States sold went to Brazil, Argentina, Chile, Dubai, Kuwait, Portugal and India. It went far more to Europe, the Middle East and South America, than to China, Japan or Korea. Why is more LNG not going to Europe? That is the question people should ask. It has nothing to do with price. Europe is not united. It has a set-up that doesn’t make a lot of sense. Are you talking about the low usage rate of the LNG terminals in Western Europe? Right. Europe’s problem is that it has plenty of LNG terminals and they are all in the wrong places. You have LNG terminals in Spain and Portugal. But gas cannot make it. There is no pipeline to take gas from Spain into the rest of Europe, from France onwards. There are a couple of LNG terminals in Italy and they work. But in Eastern and Central Europe there are none. In Poland, there is one. Poland has just opened one. They will have plenty of gas coming. And Lithuania. The United States helped Lithuania get LNG, because they were an energy island. They were 100% dependent on Gazprom. Before the LNG ever arrived, just by signing the contract, they were able to renegotiate their contract with Gazprom and lower their price by 20 – 30%. What I advocated in the meeting of energy ministers and why I am going to Greece tomorrow is to put a floating LNG terminal in Greece. Near the border with Bulgaria. To allow LNG to enter into Bulgaria and from there to Romania and Serbia. And to put another floating terminal in Krk Island in Croatia that would supply gas to Hungary, Slovenia and Ukraine. If you just do those things and invest in infrastructure, you won’t free yourself from Russian gas but you don’t need to. There is nothing wrong with Russian gas. But it should not be the only game in town. I told some folks: Russian gas is OK. If it plays by the game, not trying to mess with the game. They have enormous amounts of gas and there is no reason why European consumers shouldn’t have access to it. But there is also no reason, why European consumers shouldn’t be able to get a better price. By competing with Gazprom. So, I believe LNG will arrive in Europe. As soon as the infrastructure is there. And that’s what I am urging and working very hard to try to achieve. Strengthening interconnections has been the long-term plan of the European Commission and of Vice-President for Energy Union Maroš Šefčovič. First, I think Mr. Šefčovič is doing an incredible job. He is fighting a very difficult battle trying to achieve the Energy Union across Europe. And that is not an easy task. I have rarely met somebody who works as many hours. And he constantly seems – based on his Twitter account – to be in multiple countries at the same time. I think he has a double (laughs). I talk to him on a weekly basis. We are in very regular touch. There is a role to play for the EU as the governing body. Our relationships with several of the member states are very strong, historic. We also are an energy country. We have companies that I can talk to and understand how we can create the conditions to allow for private sector investment. I cannot tell an American company who to sell gas to. But you can allow or not allow them to export. That is right. We can give them the licenses to export. That is no longer the issue. The licences we have given to export are over a 100 billion cubic metres. That is an enormous amount. The total yearly demand of all of Europe is about 400 billion cubic metres. After years of approving the licences, the construction is starting to become complete. This year, we have started exporting from the first terminal in Louisiana 13 cargoes. And by 2020, we will be the second largest exporter in the world. The only thing that stops American LNG from reaching Europe is that European terminals need to buy it. There is no problem with availability, licensing or regulations. So you think Europeans can beat higher prices in Asia or different world regions by the volume of imports? Yes. The proximity, location and availability will allow American gas to reach Europe. And it already has. The location of the LNG terminals has stopped the gas from coming. And the fact that there are prior contracts that have to be satisfied. How will Nord Stream 2 affect the American interests in Europe? Technically speaking, Nord Stream 2 means a change of trajectory for the same Russian gas imports to the EU. That is of course not beneficial for Slovakia and Poland. Here is how I look at every project. What is the motivation of the project? Do I understand the economics behind it? Or is it purely a political project? If it is, I get very worried about its intentions. The Russians say Nord Stream 2 will reduce transit fees, so it is an economic project. You look at a project and you say: I have gas that is coming from certain fields in Russia and it needs to reach certain customers. I have a multi-billion-dollar pipeline in existence. Most companies will do everything they can not to build the pipeline, because it costs a lot of money – over 10 billion dollars. But they say they don’t control the Ukrainian pipeline. They don’t control Nord Stream 2 either. Because they have a consortium and it is subject to European law. So it has to be open. But they will operate it. It doesn’t matter. They are selling the gas, they have customers. The same customers. Just because they don’t operate the pipeline are they going to spend 12 billion dollars building a new one? What for? If you were a shareholder and you walked into a company and said, “We are going to spend 12 billion dollars for something we don’t need,” they’d fire the CEO. Unless, it is not about shareholder value. Unless, it is not about economic value. Unless, it’s there to pursue political gain by the political levels and not by the CEO and the Board. Here is the level of damage you do with a project like Nord Stream 2: You take two billion dollars of revenue from shaky economy like Ukraine at a time when the international community is trying to support it. How do you recover from that? There is an easy answer. You can’t. The economy will collapse. I don’t think they are trying to hurt Slovakia. But they don’t seem to mind if they do. It’s a close to a billion dollars a year for the Slovak economy and budget. You cannot replace that. But it’s about more than just Ukraine and Slovakia. You have half of Europe with an integrated and free gas market. And you have a half of Europe that was – as a result of the Cold War – connected by pipeline to Russia. You have an uneven energy picture in Europe. With Nord Stream 2 and South Stream, you are condemning Eastern and Central Europe to another 30 – 50 years of dependency on one supplier. Look at the price differential today, what people are paying in Bulgaria or Hungary compared to Germany. Unless you build more interconnections with Western Europe. It won’t help. Because you are simply bringing the same gas through a different pipe. You don’t have to build interconnectors to Western Europe, you have to build infrastructure that will allow those countries to receive alternative gas supplies. If you are in Germany, you can decide to have Norwegian gas. If you are in Italy, you can have LNG gas from Spain. Germans lobby very hard for the Nord Stream 2 project across Europe. Have you talked to them? Germany is a close friend and a close ally of the United States. We are open and frank with each other on all issues, including this one. But they don’t seem to listen to your advice. Well, I can see that some in Germany see this differently than I do. But it would be a mistake to consider this project as a small isolated project. It will have a great impact on all of Europe. If you have something that will affect Europe, in a negative way, isn’t that a classic example for the EU bodies to come and say, “This may not be such a good idea.” You created the position of the Vice-President of the European Commission for the Energy Union. And then you do this project? It would compromise his position. It compromises the concept. And it allows for the line that divided Europe during the Cold War to be resurrected. Not as a military, but as an economic line. I don’t think that is in the interest of Europe and of the United States. Mr. Hochstein deliberately forgot to mention that Russia is paying to Ukraine for the gas transit. Ukraine has monopoly over transit and uses it for its own political benefits. Do we forget how Ukraine stole gas transported via their territory and blamed Russia saying they refuse to supply Europe during Russia-Ukraine gas price dispute? Having an independent gas pipeline will insure no one will blackmail the whole Europe ever again. It will benefit both Russia and EU. This is exactly why US is so against it. They will lose another leverage over them. It’s not a secret that US contorls Ukraine and as long there is no alternative for gas transit, US control it as well. Easy as that. Germany undesrtands that and that is why it supports this project. “Gazprom” involves Russia in war. Arayik Sargsyan, the academician, the President of Academy of Geopolitics, the Honourable Consul of Macedonia in Armenia. The Minister of Energy of Turkey and A. Miller’s partner fight – Taner Yyldyz is got 40% now – oh discounts for the Russian gas and for the Turkish gas monopolist of “Botas”. As a result: because of incompetent, mercenary steps of management of “Gazprom”, in gas trade with Turkey for laying of “The Turkish stream”, Russia lost in “cache” (cash) over $600 million US dollars. And for construction of “The Turkish stream” in the territory, Turkey didn’t agree: http://www .kommersant.ru/doc/2721108. To article if shareholders of “Gazprom” among whom there are a lot of citizens of Germany, England, Belgium, want will return money of “Gazprom” from Turkey back, they are expected by disappointment: – the Minister of Energy of Turkey Taner Yyldyz leaves the post in connection with defeat of the president of Turkey Erdogan in yesterday’s parliamentary elections in Turkey about what Academy of Geopolitics it was expertized in advance: “Putin finances party of the president of Turkey Erdogan for a victory at parliamentary elections: The course the Kurdish horse” – http://russmir.info/pol/6585-putin-finansiruet-partiyu-prezidenta-turcii-erdogana-dlya-pobedy-na-vyborah-v-parlament-hod-kurdskim-konem.html . The Russian side, for laying of the Turkish Stream gas pipeline, likely is compelled to begin negotiations with Turks anew, because of resignation of the Turkish Minister of Energy. Failure at parliamentary elections in Turkey of ruling moderately Islamic Party of justice and development (PSR) not simply threatens the country with serious political crisis, but can be reflected and in the Russian-Turkish cooperation. PSR which lost the majority of places in Majlis has some options — from formation of the coalition government before dissolution of parliament and carrying out early elections. Until this dilemma is resolved, in a hover there will be a project of the Turkish Stream pipeline and the arrangement on carrying out the Russian-Turkish summit talks. Political uncertainty will inevitably affect terms of implementation of the Turkish Stream project. The gas pipeline about which construction the Russian President Vladimir Putin and Recep Tayyip Erdogan agreed in December, 2014, has to succeed “South Stream” and provide delivery of the Russian gas to Southern Europe bypassing Ukraine. “Gazprom” already declared that in June will begin construction of the first string of underwater part of the gas pipeline through the 15,75 billion cubic meters of gas Black Sea in a year. The company plans to finish construction of this pipe by 2017, and by 2020 to construct all four threads. Thus any binding document on construction of a pipe with Turkey it isn’t signed: the intergovernmental agreement isn’t concluded, Ankara didn’t grant permission to “Gazprom” for researches in the Turkish territorial waters for laying of sea part of a pipe yet. If the situation in Turkey becomes complicated, any solution of the Turkish regulators on permissions for “The Turkish stream” can become a subject of the internal political bargaining that can slow down the project in general. 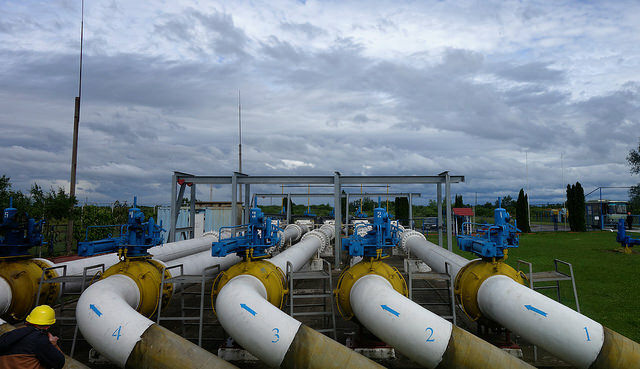 “Gazprom” already had similar experiment with the authorities of Bulgaria on “South Stream”. Yesterday Vladimir Putin on the initiative held telephone negotiations with Recep Tayyip Erdogan during which “the perspective connected with implementation of large infrastructure projects in the sphere of power” was discussed: http://www.kremlin.ru/events/president/news/49639 . >they going to spend 12 billion dollars building a new one? What for? What a moron. Spendings will return in 4 years, in his own words.